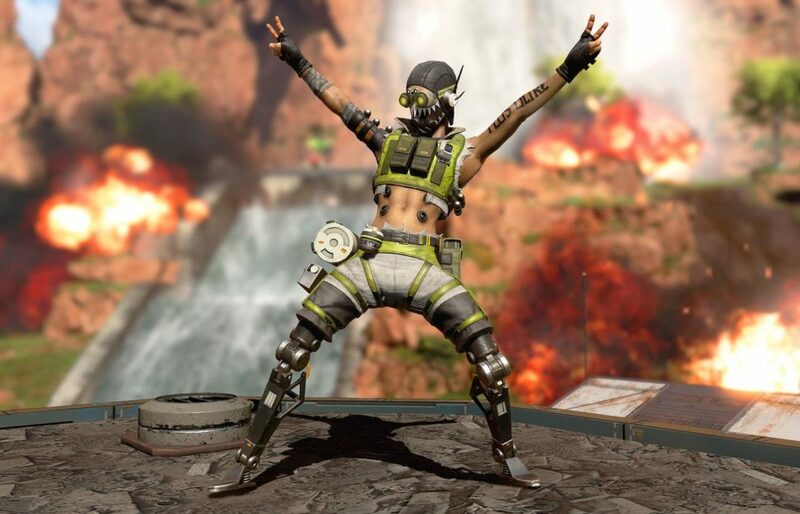 Apex Legends’ hotly anticipated battle pass has finally arrived, and with it comes the introduction of a new legend. Called Octane, he’s a skirmisher-style character that is similar to Wraith in that his abilities and play-style are centered hit-and-run tactics. Here’s how to play octane in Apex Legends. First off, it’s worth noting that you’ll need to purchase Octane for 12,000 Legend Tokens or 750 Apex Coins if you want to play the character. As we alluded to earlier, Octane is going to suit players that like to play tactically, but also with restraint. Octane is a Legend that needs to be played aggressively. He should never be static and never shy to engage in combat. That said, you need to also know when to cut the action and head for a safe area. Tactical: Stim: Octane trades health for a 30% speed increase for six seconds. He’s also less prone to attacks that cause slowed movement. Recharges for two uses. Passive: Swift Mend: Octane recovers health over time when not in combat. As you can see, Octane is really built for attacking enemies suddenly, causing havoc, and then withdrawing to a safe spot to recover his health points. Obviously, the ability to speed Octane’s movement and then recover HP can work when surprising enemies, but it can also get you out of a bad situation quickly and will help you play Octane more effectively. The speed boost from the Tactical ability is roughly the same as Bangalore’s Passive and Bloodhound’s Ultimate. Once you have used Tactical, you’ll want to then make sure you’re moving to a safe area to recover lost HP with his Passive. Octane’s Ultimate ability is pretty useful, though not a game changer. It basically just allows you to share his traversal speed with the rest of the team. It’s up to you to get creative with how you use it. We wouldn’t suggest ever using Ult Accelerants for the Jump Pad — it’s not really worth it. One other thing to keep in mind when you want to play as Octane is that he has less health when you first land, so don’t get too carried away rushing people with melee attacks. It takes just three stikes from a melee weapon to kill Octane, as opposed to four for everyone else. Since Octane is best used as means to outflank enemies and frustrate them in surprise attacks, learning how to maximize his movement advantages and timing when you use his abilities is obviously the name of the game here. You’ll need to always micromanage his Tactical and Passive abilities to get the best out of him. One key thing about playing as Octane is his physical size. He’s tall and slender but his actual width is really narrow, so he’s difficult to hit. In combination with his pace, that means Octane is very tough to hit. Use this to your advantage and be confident that you can get in and out of combat quickly and without taking damage. You shouldn’t be shy to engage enemies in 1v1 combat as Octane should technically be a match for any Legend in a duel. That does it for how to play Octane in Apex Legends. For more guides on how to play characters in the game, be sure to search Twinfinite.